Need a simple printable spring poem for your primary grade classroom or homeschool? This playful and short spring poem is filled with vivid sensory imagery and a few sight words. The rhythm and ease of short poems are essential for young readers’ fluency practice and auditory processing. 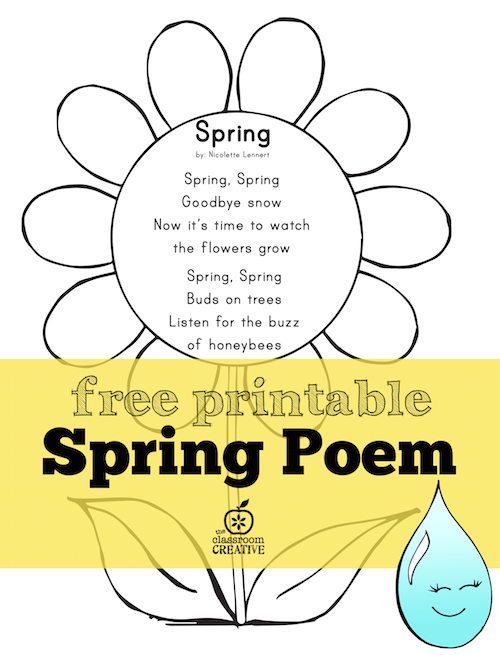 Enjoy this free spring poem for your preschool, kindergarten, or first grade students! This freebie is a part of a much better pack! 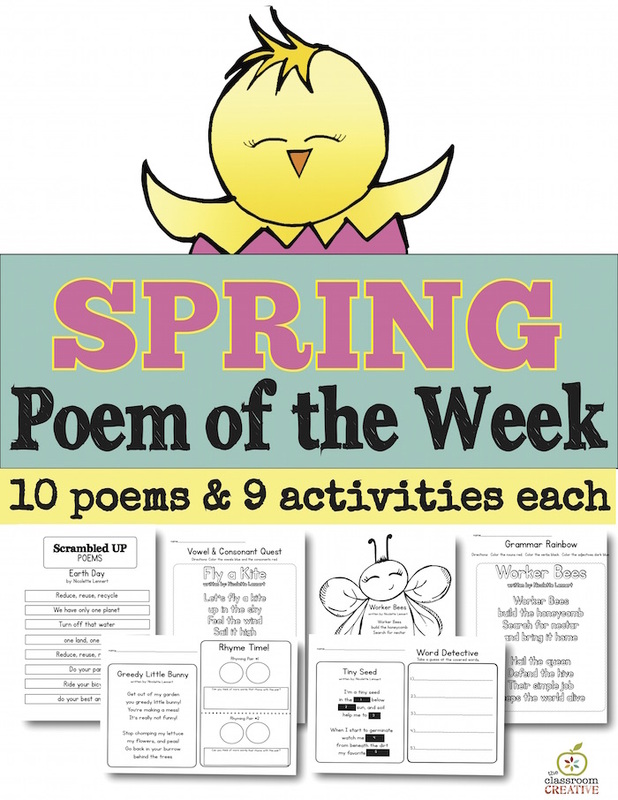 If you need more spring poetry fun and literacy centers…this Spring Poem of the Week pack has got your covered for 10 weeks! 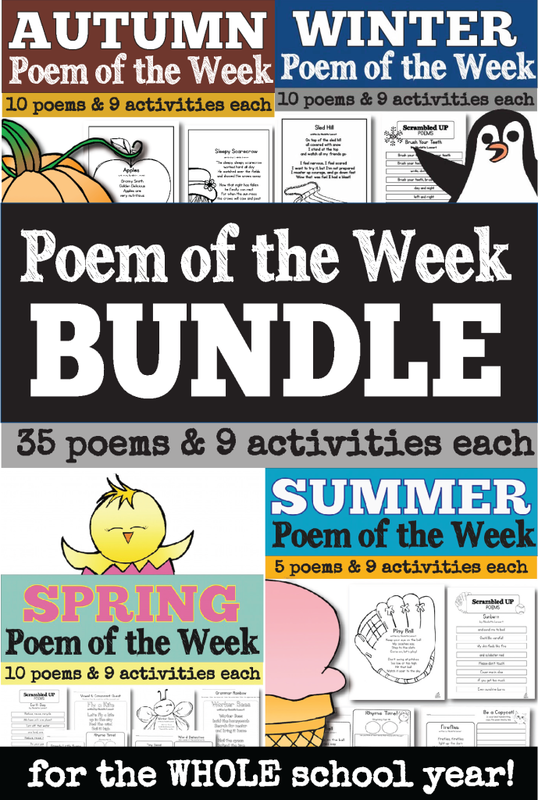 If you need to be covered for the WHOLE YEAR grab our Poem of the Week Bundle HERE!